Since its inception in 2000, Double Angel Foundation, a Parker, Colorado based 501(c)(3) non-profit organization, has relied on the generosity of individuals and businesses for funding. There are a number of ways you can contribute to our efforts. Your financial contributions can now be made online securely through the donation form below. You can contribute while shopping on Amazon –and it won’t cost you one extra cent! It’s all part of AmazonSmile, through which the company donates 0.5% of the price of your eligible purchases to the charitable organization of your choice. All you have to do is go to a smile.amazon.com to place your orders. But first, you need to sign up. When you log in to your Amazon account at https://smile.amazon.com, a default charity will show up in the right-hand column. Click on “Select a different charity”. When it asks you to “pick your own charitable organization,” type in Double Angel Inc. When it appears on your screen, click “select”. But remember, you have to place your orders from smile.amazon.com. Purchase a Double Angel Foundation pendant, designed in memory of Dillon and Logan Dixey. The pendant is delicately fashioned as two small angels forming a heart to signify the love and nurturing shared by the Dixey family. 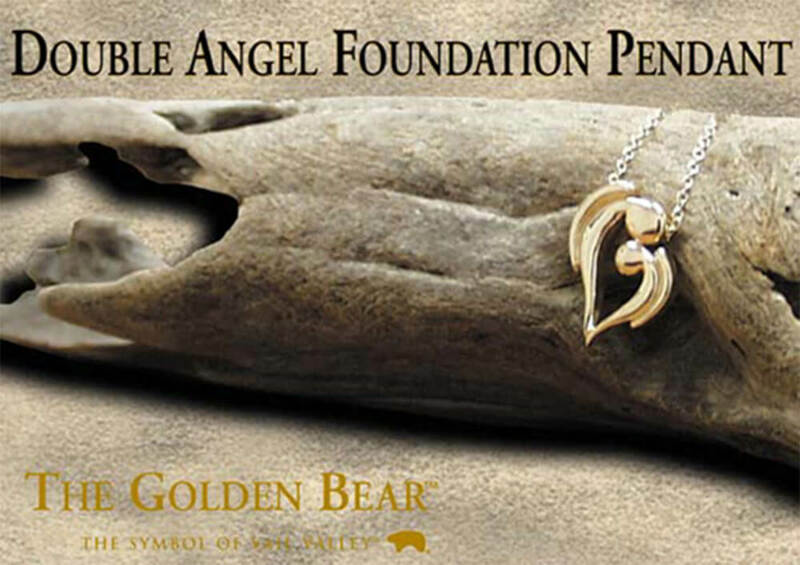 Visit www.thegoldenbear.com(click on search and type in Double Angel) to view the heart-warming pendant. Proceeds from pendant purchases help the Foundation pursue its missions and causes.